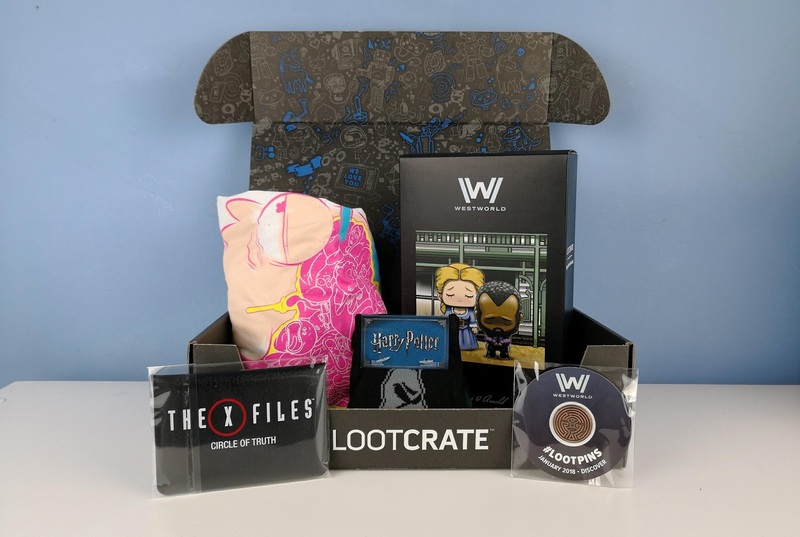 We know, we know... it's only been a few days since we reviewed the previous Loot Crate: December's 'Explore', but it seems like we've finally caught up and can rip open the January crate... IN JANUARY. Imagine that. We check out the new Loot Crate 'Discover'. 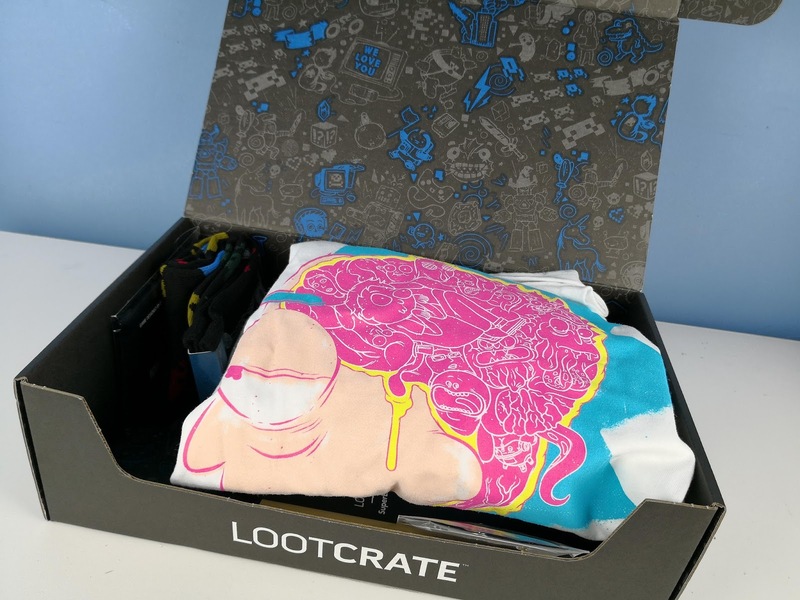 If you read (and watch) our previous Loot Crate reviews you'll 'discover' (tee hee) that we've not been all too keen so far, with the exception of the t-shirts. So when January's arrived we weren't holding our breaths. But wait! On opening it we spy something that looks decidedly Rick and Morty-ish in the t-shirt design. Joy! 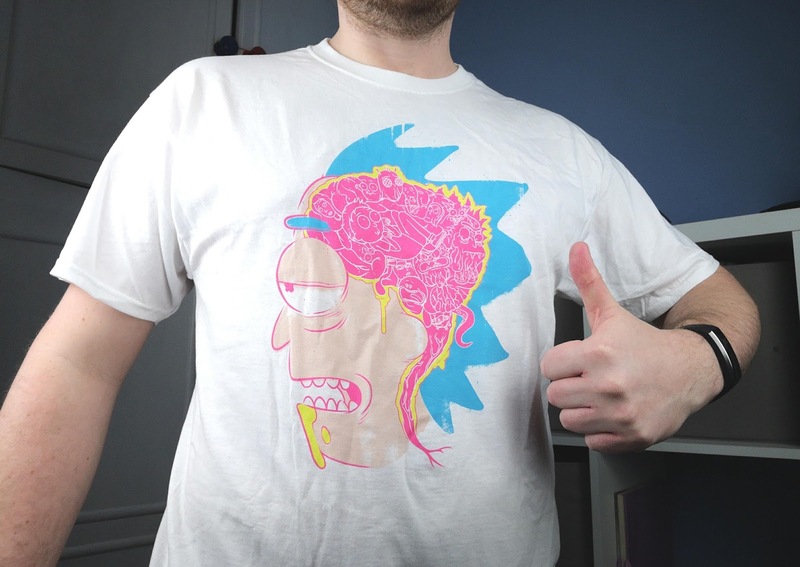 Why yes, it's a Rick & Morty t-shirt. R&M is probably one of our favourite all-time TV shows, so anything from it would have been well met. It's white, too, which makes a change from the past few tees that have been very dark. As with all Loot Crate t-shirts it is soft, comfortable, 100% cotton, and with detailed printing. 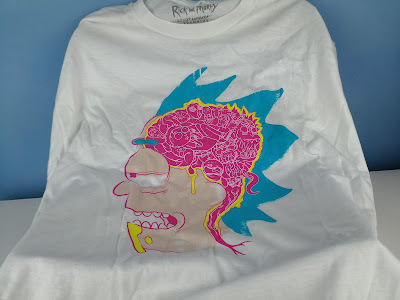 We love the design and are very happy so far. Next! West World! 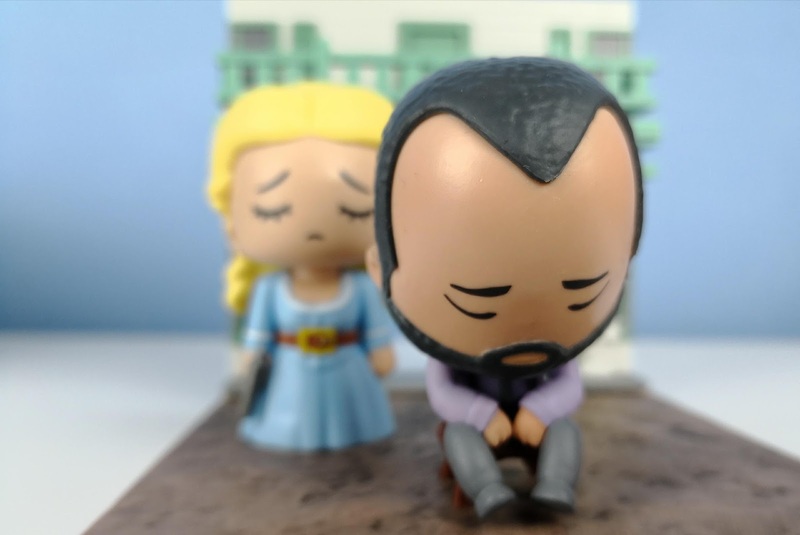 Yes, another of our favourite TV shows! If you haven't seen it, do it now. Go. Watch it right now, you mothers. But what is that? 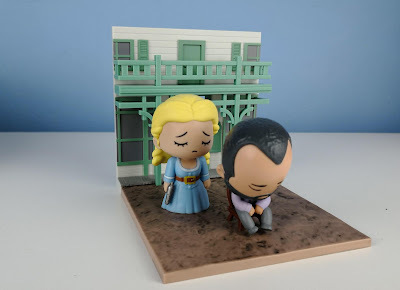 We recognise the scene - quite an important one - but what is in the box? Okay. We've said previously that we hate big-headed cuteness in figures and scenes like this, but this is actually pretty cool. If you haven't seen the show then the tableau won't make much sense, but to those who have this is very dark, very significant moment, and representing it in cartoon-mode is wickedly sick. We dig it. ... you can have some fun. 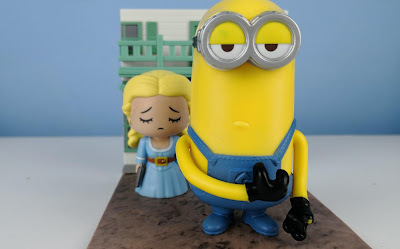 Actually West World with Minions would be effing brilliant. Next! Socks! 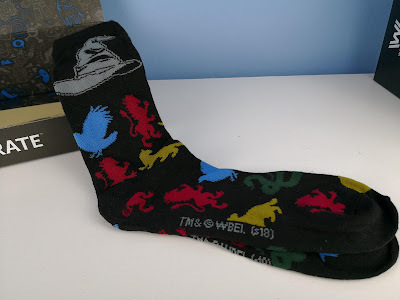 Who doesn't like socks? 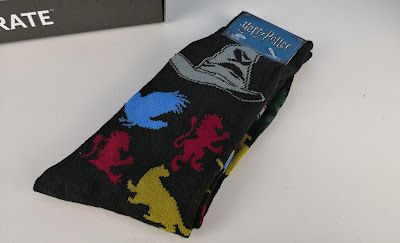 If you have feet, you need socks, so these Harry Potter themed pair are also well met. We might not give a damn about Potter and Co., but we do about about our tootsies. Just like the tee they are well made in cotton and feature images of the house animals and sorting hat on top. Go Team Slytherin! Next we get an odd little thing - an X Files card game called Circle of Truth. 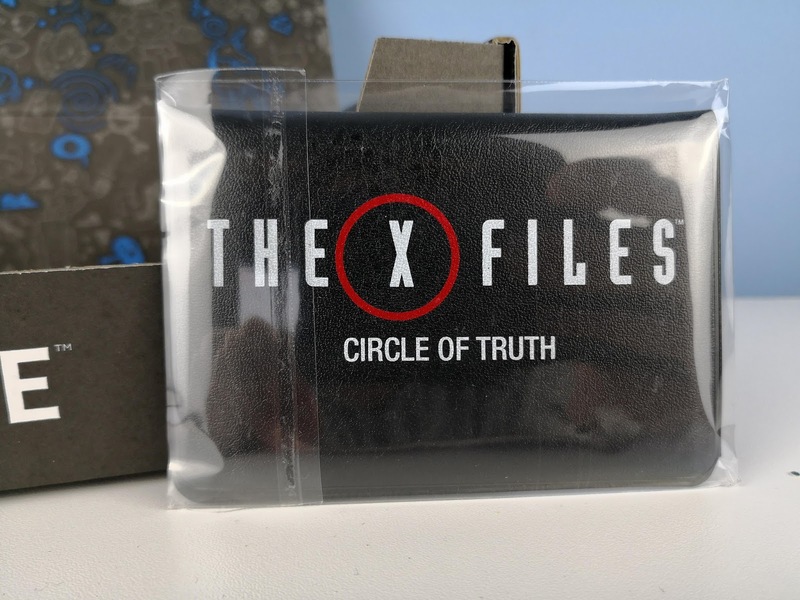 We're not into card games, although we do all love the X Files, especially classic Mulder and Scully era. 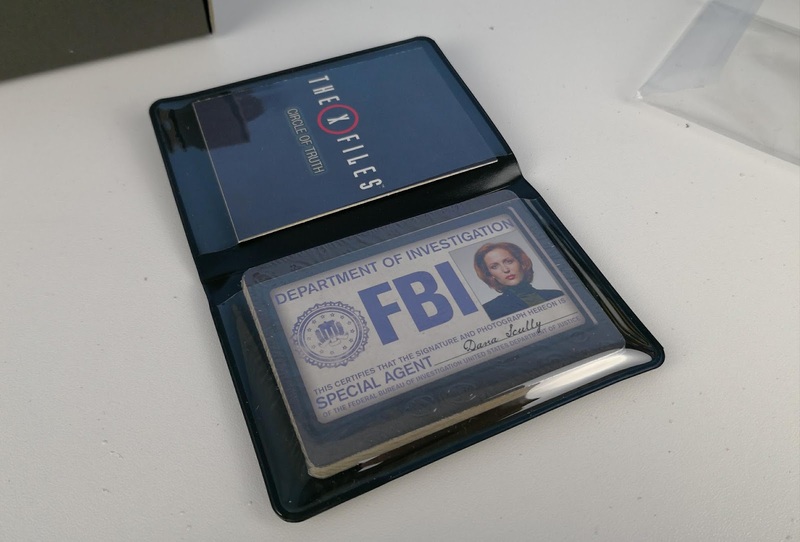 The cards come in an FBI-like ID badge case, and the cards themselves are all printed up with character info. To be honest, we'll probably never play it, but we can see how it would appeal. Finally, we have the pin. 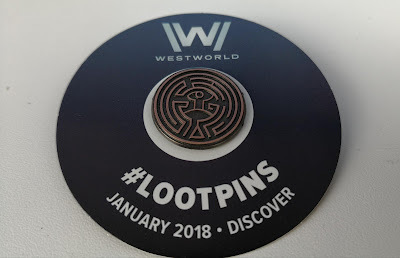 Like last time, this is actually good, representing 'The Maze' logo from West World. 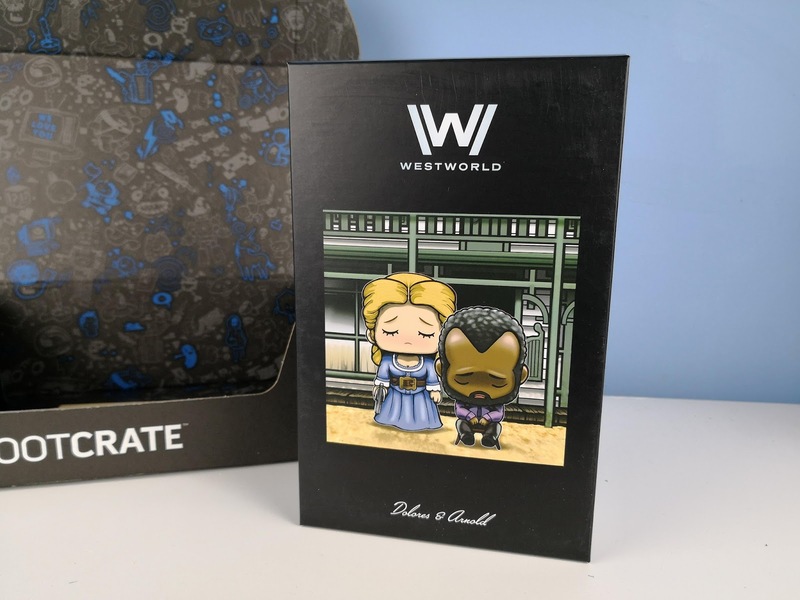 There are no indications it came from a Loot Crate, so if you love WW, or just like interesting patterns on a pin, this is great. 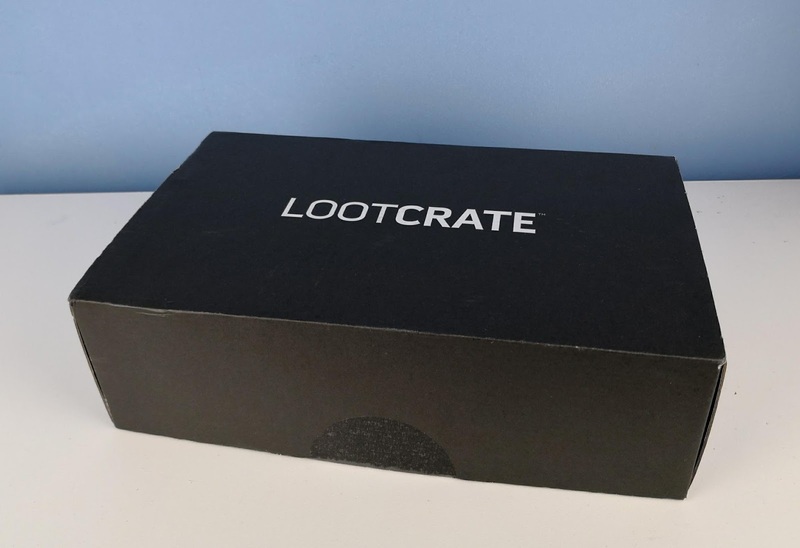 And relax... Well, despite our general blah attitude to previous Loot Crates we've received, this one, 'Discover', is actually very good - from our point of view. Like all Loot Crates, it always depends on what you like, what you watch, and what you play, and if you hate West World, Rick and Morty, Harry Potter and The X Files, you might hate this. And you're not our friend.